Market intelligence firm Euromonitor asserted last year that the beauty and personal care industry in the Middle East and North Africa was worth US$24 billion – the second fastest-growing market in the world. According to the market intelligence firm Euromonitor, consumers in the United Arab Emirates exhibit the highest per capita spend on beauty and wellness products. The dizzying numbers haven’t gone unnoticed by tech start- ups. 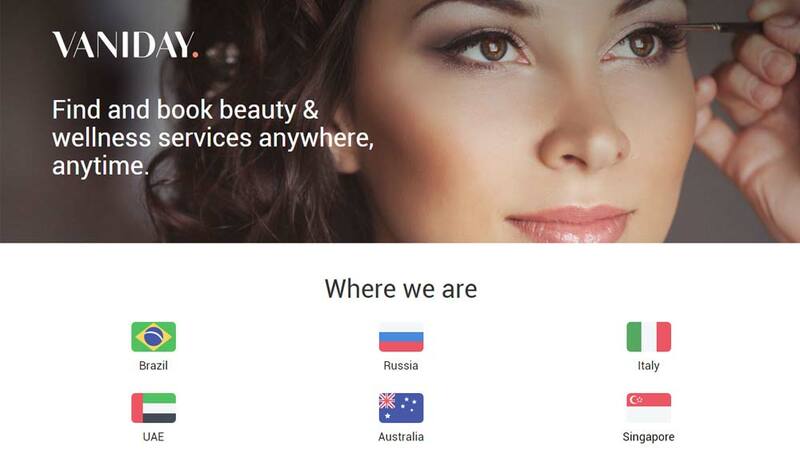 Thus, Rocket Internet-backed Vaniday, an online marketplace for beauty and wellness services, has formally launched its operations in the UAE in June 2015. After making its presence felt into Brazil, France, and Italy markets, the tech start-up has finally made a move towards UAE. Without disclosing key metrics, Vera Futorjanski, Co-founder of Vaniday Middle East told mediaperson that the firm is doing extremely well in Dubai. Reportedly, Vaniday had raised US$ 17 million as its first funding round, but the money isn’t earmarked for a specific country and will be used to scale operations wherever the start-up is present. Presently, about 400 salons and spas are connected with the site. Users are prompted to select a date and time for the appointment. Once you indicate your date and time preference, the start-up will call the particular salon and send them an email notification about the booking. If the requested time slot is available, only then will the booking be confirmed. The customer receives a call confirming the booking, or asking for it to be rescheduled. Furthermore, Vaniday is working with salons to integrate software systems so that the entire process is automated, but the team is still a few months away from reaching that goal. The minimum lead time to book an appointment is three hours, which means people can’t make an instant appointment, casting doubt over the convenience claims. Delhi Govt to eliminate hospital's VIP Care ..